What’s in a name? Quite simply, a lot! There was a time when any Superintendent worth his club greens fee would have a Cushman Haulster or Cushman Truckster parked outside his maintenance building. Simply put, these vehicles were the gold standard. The boss always had one and his underlings would get by with an old fleet golf car with a box on the back. The Haulster and Truckster were the two best utility vehicles built before the company was sold to Ransomes in 1989, then shortly after Textron acquired Ransomes. Let’s just say there were a lot of changes over the next few years, including the Cushman name and some of the Cushman brands all but vanishing. 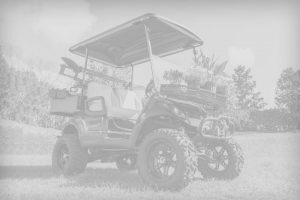 Fast forward to 2013 when EZGO brought to the golf industry trade shows a new marketing approach that refreshed the Cushman brand, with new updated logo and all. They even kept the vaulted Haulster as a centerpiece in the Cushman lineup but changed the name to Hauler. This was refreshing to see and I think EZGO has enjoyed some newfound success in an old name. The name was the gold standard and anyone who has been kicking around for a while knows the name and how dominant it was back in the day. It just made good sense to use that name to promote a line of turf vehicles to the market. So what happened to the Truckster? Well, Textron rebranded it as a Jacobson Truckster XD. It is a beast of a vehicle and has a huge payload capacity. However, if you want a Cushman Truckster you can get an older model on Ebay. That is what happens sometimes, a brand just gets lost in the scuffle. How about the GM Saturn? I remember when I graduated from college GM was advertising for college grads to join the Saturn team and build the brand. Then 2008 happened and GM not only tossed out Saturn but cleaned house and jettisoned Pontiac and Oldsmobile for good measure. These things happen and it gives the people who watch the market something to talk about and remember as lessons learned in branding. The turf vehicle line up in this issue has a lot of brand names and there are some good ones. No one has dominated the category as well as the old Cushman Haulster, but maybe the next dominant brand and model are in this book now. Maybe the next turf vehicle that will be a household name, and every superintendent will know he has made the grade when he gets to ride around the course in one, is in this book and has not come to the top of the heap just yet. We’ll find out sometime soon but first we will have to do our homework and read about all of them.